At this time of the year my blog should be bursting at the seams with photos of gorgeous rainbows of fruit and vegetables. Hundreds of varieties in all different shapes and colours. This week last year I was blogging about beetroots and peas and rocket and radishes. This year you get the puppies. This ain't no ordinary season. This certainly ain't no ordinary January. Actually, the truth is so far in our ten years of organic farming we have learnt that there is no such thing as an ordinary year. Some years there's too much wind, some are too hot, some bring fires and other other crazy weather patterns. As farmers we have learnt to listen and watch and to adapt. But until this year the one constant has been the respect and love we have to have for water. Water is good. When we moved here we became self sufficient in our water supply for the first time. We have had to be mindful in washing and drinking and laundering and bathing even in the middle of winter, to ensure we have enough for the coming summer. Our house water comes from the rain that lands on our roof and is precious. Farm water has always been a constant topic for discussion too. We have bores that fill dams, we have dams that fill irrigation systems and we have irrigation systems that are always being planned and fixed and tested and diagrammed and updated. On a farm water is life giving, water is precious, water is the topic of so many discussions. Most years the running joke around here is that Bren has another girlfriend called Tap who he is always rushing off to meet and spend time with. But then this year something happened to turn our whole theory of water on its head. We learnt that water can also be destructive. Water can ruin your plans, stop you from planting a crop, turn your crop to seed or to mush, it can take years of carefully maintained top soil and send it off down the creek. Water can be scary. Water is a contradiction. And everywhere we go there are more crazy water stories. The lettuce grower who had to plow in ten acres of flooded lettuces, our neighbours at yesterday's farmers' market who had to sell so much of their strawberry crop as seconds, our friends Andrew and Jill who lost their entire crop and left a gap where their stall usually stands opposite us...I could go on and on, I'm sure you could too. So now we are living through the rest of this crazy season. We are grateful for our chookens who continue to lay, that we don't have enormous machinery and input costs and that we never put a crop in so we didn't lose one. Our hearts go out to those less fortunate. Please buy local where you can, buy direct from the farmer where possible and look out for those that are producing the food that you eat. You guys have a truly amazing outlook and so inspiring. I'm so pleased you girls continue to lay away, but it must be so hard being so in the hands of the elements. Big love to and sweet puppies. Know you are thought of every day as this tragedy unfolds. Acme die systems pvt Ltd situated in Delhi. It is a leading manufacture & supplier of hot runner systems, stretch blow molders and pet bottles and containers at market leading prices in India. You've so been on my mind through this horror, you can imagine your post has sent me reaching for the tissues. I'm definitely supporting my local producers from here on in... farmers markets all the way! 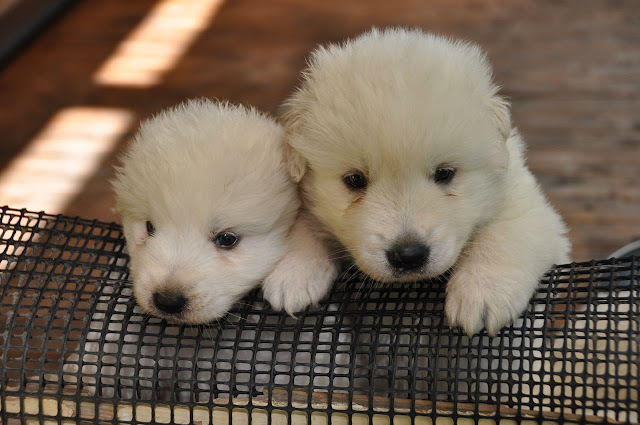 Oh and those pups are just so adorable. This is really a huge set back and I am so sorry. Happy to see the pups are thriving. My grandson and I watched a video of Toowoomba where cars were swept away like toys. The huge power was amazing. I came over from Brydie at cityhippyfarmgirl, and had to say thank you for such a great post... oh, and the puppies are simply gorgeous!